Home > Google News > Google SEO > Were You "Pandalized"? 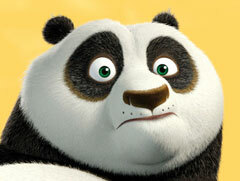 In the past few weeks, I have started seeing the SEO community start using the term "Pandalized." Pandalized is the term used for SEOs to say their web sites have been penalized by Google specifically through the Google Panda update. Personally, I am not sure how I like to use words like this, but it does make for a quicker way to say - "I was penalized by Google after the Google Panda update." Instead you can just say I was "Pandalized." In fact, there is a domain at pandalized.com. The site has graphs showing some of the sites that were Pandalized. The domain was purchased about a month ago by an unnamed individual.